Alex McCalister is a one trick pony, but it's a nice trick. A number of the Eagles' selections in the 2016 NFL Draft have had off-the-field issues, and the coverage of them has focused initially on that. Sunday, we began looking at those players on the field, beginning with Eagles fifth round running back Wendell Smallwood. Today we'll continue on with seventh-round defensive end Alex McCalister from Florida. McCalister was a pass rush specialist at Florida, playing in less than 40 percent of his team's snaps over the last two seasons, mainly on passing downs. In 2015, he tied for the Gators' team lead with 6.5 sacks despite only playing in nine games. In 2014, he was second on the team to Dante Fowler Jr. with 6.5 sacks. Here's a look at his strengths and weaknesses. McCalister is 6'6, with 36" arms. He also has very good speed and athleticism. That combination of length and speed alone allowed him to get to the quarterback at Florida. • McCalister has a wholly unimpressive repertoire of pass rush moves. At the NFL level, every offensive tackle in the NFL will have a counter to that dip move if they know it's coming. In college, he could get away with being a one-trick pony. In the NFL, McCalister is going to have to develop a larger catalog of effective pass rush moves, if only to keep opposing blockers honest, and not completely focused on his impressive dip. • He's slow to recognize fakes. 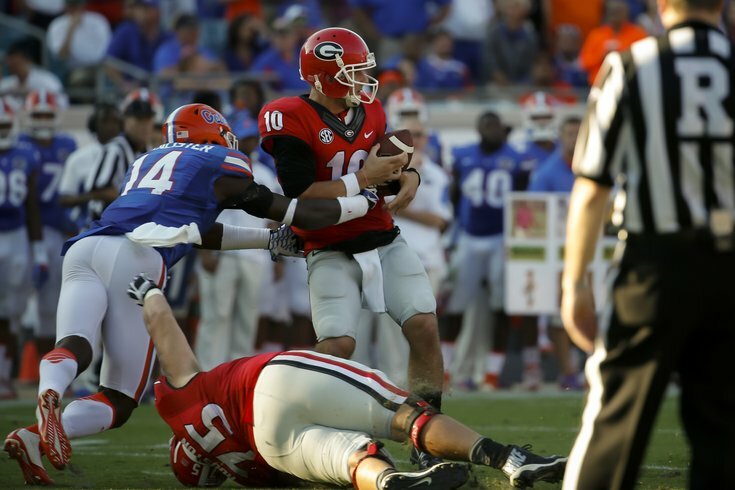 When teams ran zone read against Florida, McCalister was often out of position. He also did a poor job on some occasions I saw teams run the option. While there will be teams who don't use those looks in the pros, it does perhaps signal a lack of football IQ. It's obvious why the Eagles like McCalister. In Jim Schwartz's scheme, McCalister could be used way out on the edge in wide-nine looks and give opposing offensive tackles fits with his length and speed. However, with his current skill set, that's about the only way he can used and even then he'll need to develop more pass rush moves to be effective.